Durable thermoplastic loop with recessed rough gripping surface Quick and easy installation and removal Patended design based upon the tried and true para-cord loops and duct-tape tabs currently in use with special warfare units worldwide. 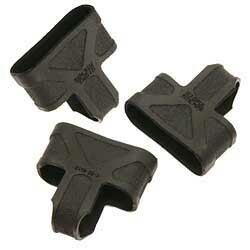 These are a great and easy to install product for fast mag retrieval from pouches ! !